Lakeview Cottage Kids: Happy 4th of July!!! Happy 4th of July to all of you!! I hope you are enjoying this wonderful holiday!! The weather here has finally gotten beautiful and loads of people are enjoying the water here at Lakeview Cottage!! 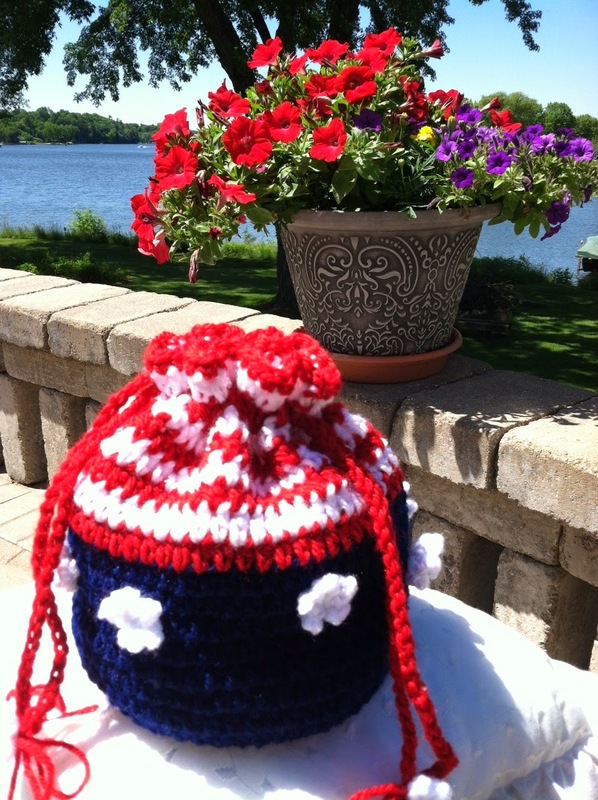 In honor of the holiday, I am re-posting my "Stars and Stripes Purse" pattern! I originally posted this in July of 2014!! It's fun and fast to make! Hope you enjoy making it! !